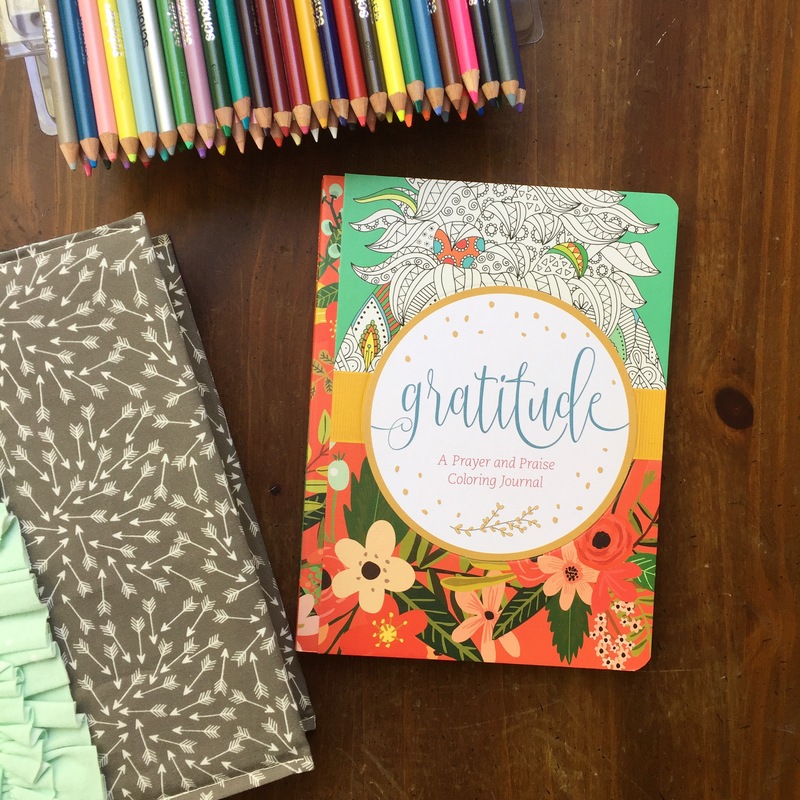 The Gratitude; a prayer and praise coloring journal, provides readers plenty of room to color, write, draw and express their faith, worries and gratefulness in a lot of unique ways. Each spread has a specific theme with options to write, color, or draw your way to peace and gratefulness. While I especially love to journal and color, I found pages with less direction- so to speak- gave me more room to write, draw and explore prayer and gratitude more creatively. I loved its small compact size and lightweight, perfect for a trip to the park to have some quiet time. The covers are hard bound while the spine is soft. It sounds strange and even looks a little off but provides you with support as you color and write at the beginning and end of the journal. I found I didn’t have to use this journal in sequential order but I’d flip to a page I felt drawn to and pray and enjoy. 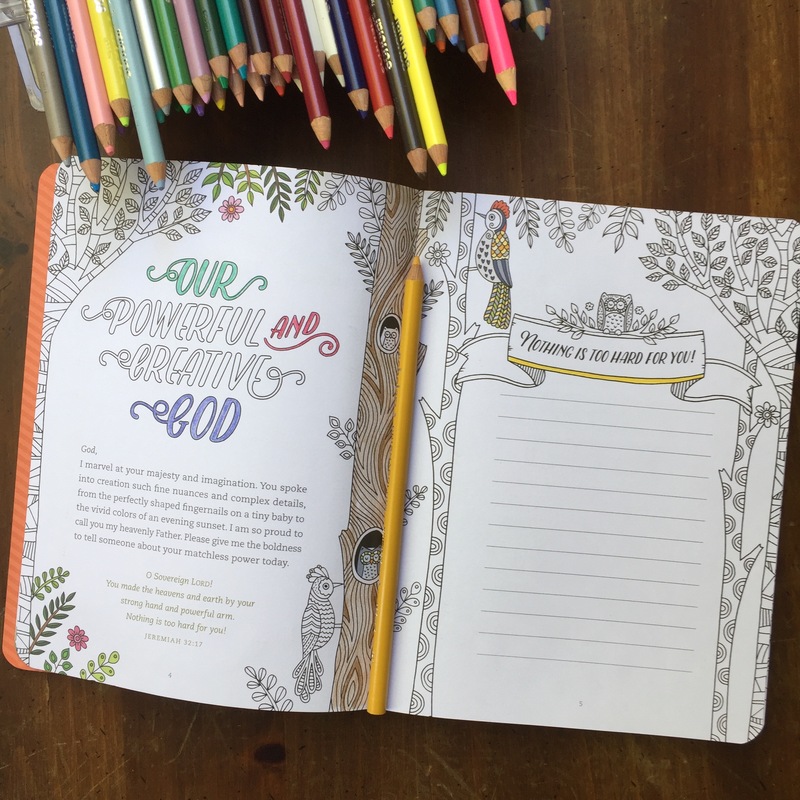 Visit the Living Expressions Pinterest board to download some coloring pages at home and inspire creative worship! I was provided a copy of this beautiful Gratitude journal for free in return for an honest opinion! i have so many colouring books that I genuinely don’t need another but I do love ones especially bible/God focused ones rather than mandalas etc focused if that makes sense! Me neither! Every time I see a new one I want it but my completion rate isn’t high enough to justify many more right now!